The Lifestyle Hub: JM de Guzman celebrates anniversary as "Angelito"
JM de Guzman celebrates anniversary as "Angelito"
It has been a year since JM de Guzman bagged the title role of "Angelito, Ang Batang Ama" on ABS-CBN, one of the very few times in Philippine TV where the title of a soap opera follows the name of the male lead. If I remember it right, male names are used only as titles on fantasy series like "Machete" with Aljur Abrenica, Richard Gutierrez for "Captain Barbell", and Dennis Trillo for "Gagambino". Quite similar to this though would be JC de Vera's "Valiente" in TV5 but still JM's role would go down as a significant twist to creating drama series in a female-fascinated country. "Angelito, Ang Batang Ama" aired its pilot episode on November 14, 2011 and ended with high ratings on April 13, 2012. According to Kantar Ratings, the soap averaged 14%, taking the most share in afternoon television. This resulted to a sequel with "Angelito, Ang Bagong Yugto" piloting last July 16, 2012. 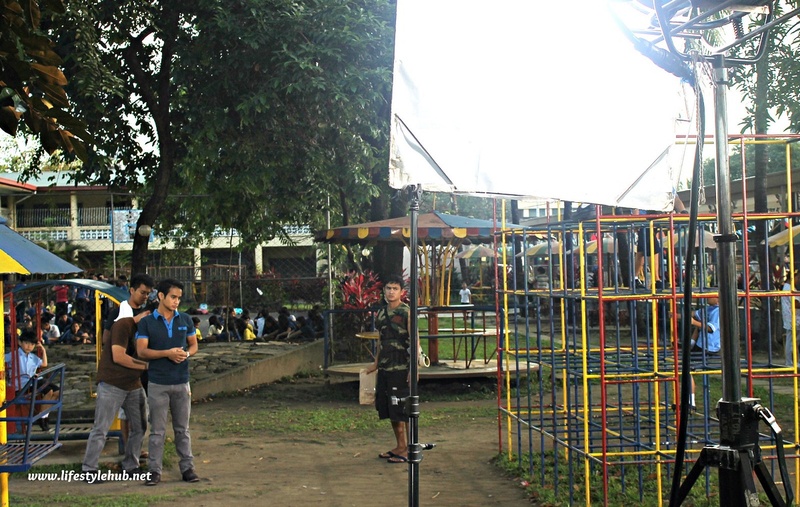 As of our set visit last Friday, November 16, the soap is still prepping up for many more weeks. Observing at how everyone in the set worked during their taping, it seemed like the whole production team is taking each day and each episode one at a time. 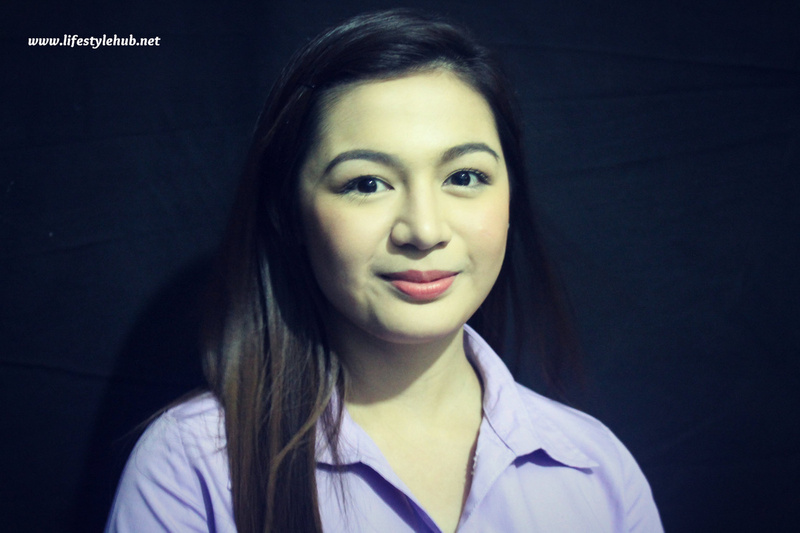 JM's leading lady Charee Pineda was more ecstatic with the fact that her first major soap reached more than a year on air. 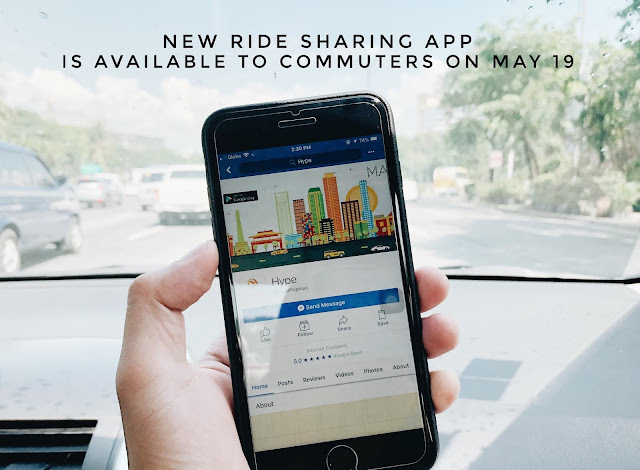 "Bihira na kasi ngayon ang umaabot ng 1 year. So sobrang masaya na pinapanood pa 'rin kami ng mga tao", she said. In the sequel, new twists are introduced to the story and more characters are involved giving the soap a fresh take. Jao Mapa and Valerie Concepcion make guest appearances so as jazz singer Sitti Navarro and Pinoy Big Brother teen housemate Karen Reyes. 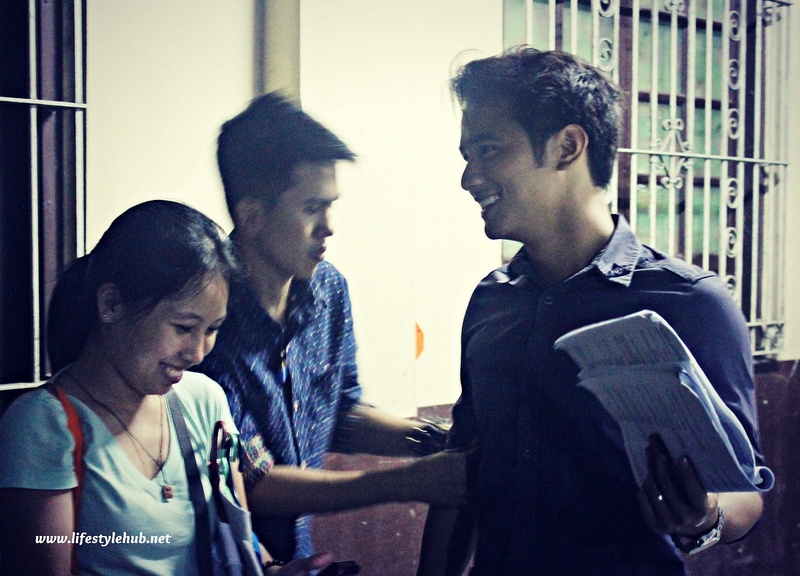 Proof of how light work was for the young star, JM de Guzman even asked for his guitar and serenaded the online writers who visited the set. JM even took time on 'feeling' what song to sing as he had ample break time in between takes. "Ayaw ko kasi masyado isipin kung ano kakantahin. Mas maganda kung ano yung nararamdaman mo at mood mo nung time na 'yun", he explained before singing Creed's "Here Without You". 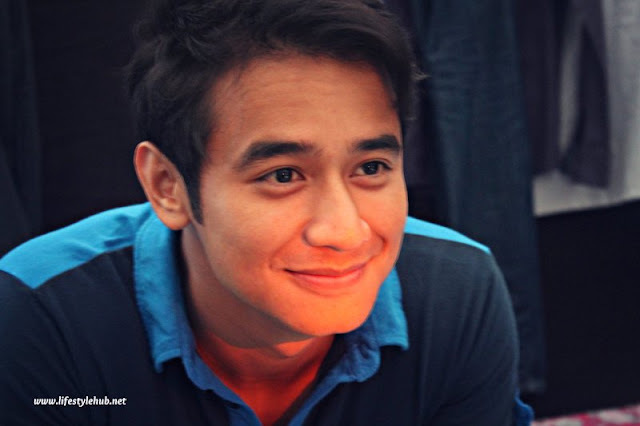 For fans of JM de Guzman, I'm sure you don't wanna miss his cuteness in the video embedded below. JM de Guzman sings "Here Without You"
I would like to thank my good friend Morgan of www.supermorgy.com for giving me the opportunity to take a glimpse of the 'Angelito' set and to the soap's stars JM de Guzman and Charee Pineda for opting to bond with us instead of resting during their breaks. Big 'thank you' also to their very gracious crew led by Direk Theodore Boborol for accommodating us including the sumptuous pizza break. Catch 'Angelito: Ang Bagong Yugto', now almost on their 100th episode on ABS-CBN 2, every 2:45 in the afternoon from Monday to Friday. Aside from JM and Charee, the powerful cast of TV's most successful drama series include Kay Abad, John Prats, Devon Seron, Sam Concepcion, Sue Anna Ramirez, Kiko Estrada, Elizabeth Oropesa, Snooky Serna, Al Tantay and Eric Fructuoso. and reading his script while at the same time having a good time with his assistants in the third photo.